You might have heard that Greg Lane, a highly regarded real estate appraiser in Tallahassee, is running for the office of Leon County Property Appraiser. Those of us in the industry have appreciated his work for many years, so it is somewhat bitter sweet to support Greg for public office as his election would mean that we will lose someone who does such fine work as a real estate appraiser. The process of selling a home often involves a discussion on asking prices and valuations, and I once did a very successful blog post on how real estate agents determine a home's value. Today, we'll look at what real estate appraisers do to determine values, and who better to ask than a prominent appraiser who has performed thousands of appraisals over the years. 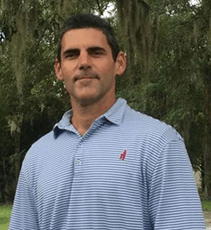 Greg has appraised homes all over Tallahassee, from starter homes all the way up to the more expensive homes in our area. So this is "Part I" of my interview about the appraisal process with Greg Lane, who I also recommend for your vote in November. Me: We know that a proper appraisal requires a visit to the home for a physical inspection by the appraiser (unlike many that are performed by out-of-town appraisers). So what is the difference between an appraisal inspection and a home inspection performed by a contractor? Greg: An appraisal inspection should be a thorough visual inspection, whereas a home inspection is better described as a thorough physical inspection. For example, an appraiser will perform a ground level inspection of a roof and make a visual inspection of a crawl space. We look for any apparent adverse issues or conditions and note them in our report. The appraisal assumes that all mechanical systems are in working order. In contrast, the home inspector will typically inspect the roof and operate the mechanical systems to make sure they are all in working order. Most of our work is back at the office, most of the home inspector’s work is done in the field. (continued below). Me: OK, so a property inspector is there to report on the actual condition of the property, whereas you are there to consider the condition of the property as part of your valuation. Before you arrive at the home, should the homeowner do anything to prepare the home for your visual inspection? Greg: It never hurts to clean the home and make sure it is presentable, as the appraiser will be taking interior and exterior photos and inspecting all rooms. I highly recommend being on-site to meet the appraiser to answer any questions and to qualify the appraiser and make sure they are geographically competent. I also recommend creating a list of improvements and repairs you have made over the past several years, print this out and hand it to the appraiser. We cannot ask every question and you will not remember to tell us everything, so type it out or write it down. Me: Geographically competent ... Since real estate values are relative to their location, I guess an out-of-town appraiser might be legally competent but not technically competent, just like real estate agents from out of town. If you do not understand local trends, it could seriously hamper your ability to accurately appraise a home. I really like your advice about having a written list of improvements and repairs, as the list could very well be the final straw that pushes the valuation higher for the homeowner. As far as other paperwork required, does the appraiser need a copy of the contract between the Buyer and the Seller? Greg: If the sale is a cash sale, you do not have to provide a copy of the contract to the appraiser, there is no requirement for us to have the contract. However, if the sale involves financing, most lenders will require the appraiser to make a statement that we have received the contract and have reviewed it. Me: OK. So if there is a contract on the home and it includes third-party financing, the lender is going to require you to see the contract. I suspect this has to do with ensuring that only the real property is included in the price (and not the Rolls Royce in the garage :)). It's funny, but it seems more often than not that appraisals often come back at the same value as the real estate contract, why do you think this occurs? Greg: Your Realtor should be competent to do a Comparative Market Analysis and determine a reasonable asking and selling price. If they do a good job and you listen to their recommendations, your home will be priced competitively and the sale price will often be at market value. If the buyer is an informed buyer, under no duress, with no undue motivation, the contract price is a good indication of what the home is worth. The appraisal is still typically required by the lender and the appraiser must still be able prove the value. If the appraiser’s analysis reveals a significantly different value than the contract price, then the appraiser will hopefully call the agent(s) involved to determine if there is a discrepancy or something else we are missing. Me: That makes sense. But what about situations where there is no contract between buyer and seller. 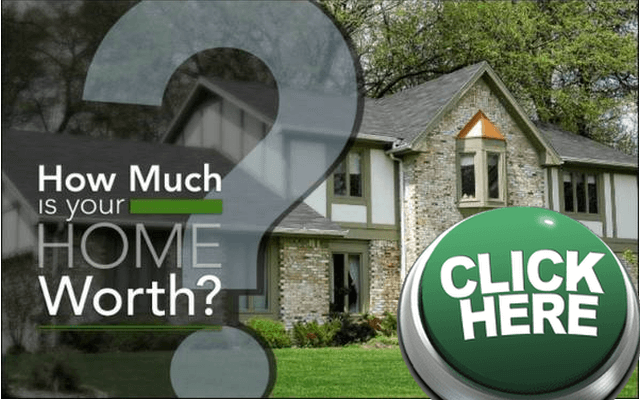 What happens when a property owner just wants to know what their home is worth? Will the appraised value be different depending on the purpose of the appraisal ? Greg: If the client is asking for market value, then that is what we should be providing. The fact that someone needs more value or does not need more value should not influence our estimate of market value. And in the case of a sale, if the sale is not arms-length and a home is selling well below market value, the appraisal should still reflect the true market value, which could be much higher. Me: That's good, meaning your opinion of value should not be skewed by anything that does not pertain to market value of the home. I have many more questions to ask Greg Lane regarding the real estate appraisal process and will be sharing them over the next several weeks. If you have questions you'd like to see answered, just add them in the comments section below. If you'd like a free current valuation of your home, simply follow this link and we'll help you determine the value of your home in today's real estate market. Zillow Real Estate Value - Fact Or Fiction?